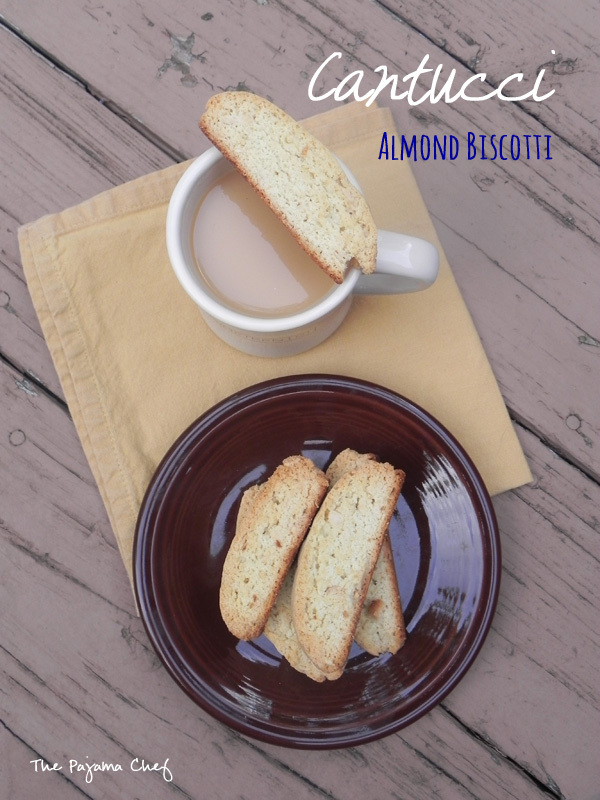 Sweet, nutty, crisp almond biscotti is a wonderful fall treat. Biscotti always looks so fancy, but only requires a handful of ingredients and comes together in a snap! A great fall treat. I think biscotti was a great choice from Manu’s blog. What’s more Italian than crunchy cookies to dip in coffee? But while reading Manu’s blog post with her recipe for biscotti, I learned some interesting facts that I just had to share with you! First of all, what we think of as biscotti is actually called cantucci to signify that they are twice baked. All cookies in Italy are called biscotti [plural, singular is biscotto]. Confusing, right? And traditionally, cantucci are dipped not in coffee but in sweet wine! Huh. I mentioned this to Ben and he was like, hmmm, a new sort of communion? Haha! I hope that’s not too sacrilegious to say online but it was just too funny not to share. 🙂 I can’t attest to how these taste dipped in wine, but in coffee… let me just say they are FABULOUS! 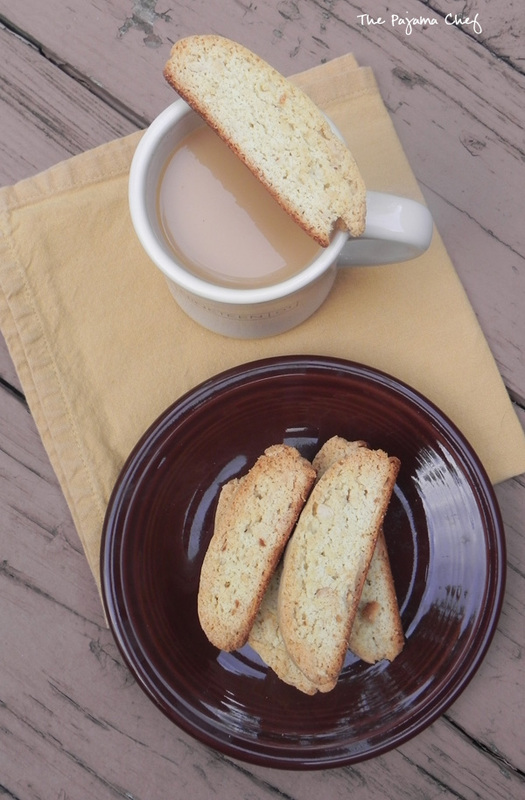 These almond biscotti, err--cantucci–are sweet, crunchy, and a lovely treat to make even a weekday morning more special. I love it whenever we have biscotti on hand, since they last for a couple weeks on the counter and also freeze well. #treatsfordays Thanks, Manu, for a great recipe! Enjoy! Toast almonds in a preheated oven at 375 degrees F for 3-4 minutes, or on the stovetop. Or you can take the easy way out and buy toasted and sliced almonds like me. 🙂 Set aside, and leave oven on. Line a large baking sheet with a silpat or parchment paper. Then, place eggs and sugar in the bowl of a stand mixer. Beat with whisk attachment until light and fluffy, about 2 minutes. Stir in melted butter, then slowly beat in flour and baking powder with paddle attachment on low speed. Fold in almond extract and toasted almonds. Transfer the dough to a floured work surface and gently knead dough to form a ball. Dough will be sticky, so flour your hands too. Divide dough into two equal parts, then roll each ball into a long log and place on prepared baking sheet. Brush with an egg/milk mixture, if desired. I forgot to do this! Bake at 375 degrees F for 20 minutes or until the top is just getting golden brown. Remove from oven and cool for about 20 minutes, then slice into thin strips and place on parchment-lined baking sheets. Reduce oven temperature to 340 degrees F, then bake for 20 minutes or until crisp on each side, flipping halfway through. Cool completely, then eat by dipping in beverage of choice–coffee, milk, tea, or cocoa. Mmm! 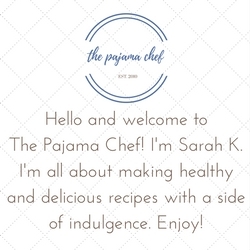 For more great Secret Recipe Club recipes, check out the link below! I loveeeee biscotti! 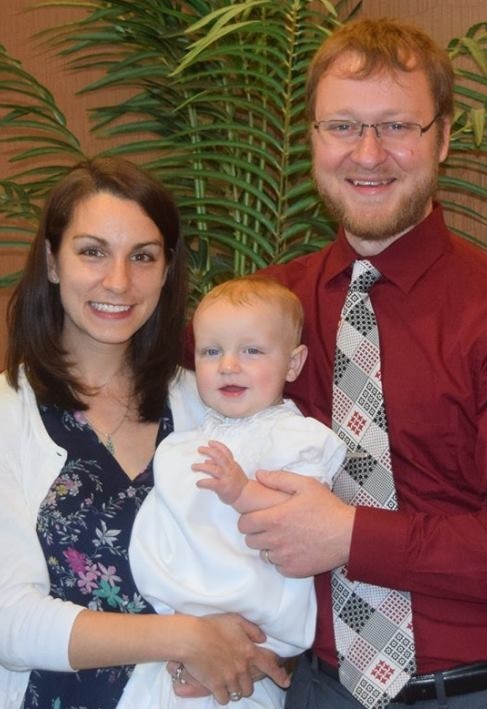 My whole family does (very Italian! haha). These look so good! I wish I had one to go with my tea right now! 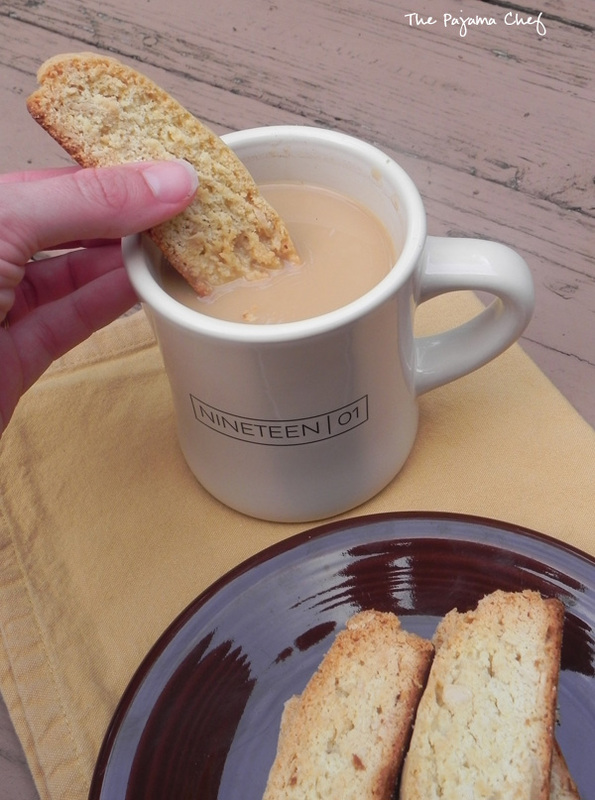 Your biscotti looks perfect – especially that photo of it dunked in the cup of coffee! Why do baked goods have to look so good? 😦 I always wanted to try my hand at Biscotti err Cantucci? But with a gluten intolerance, now I have the extra chore of finding a gluten free recipe. I’m with Amy, that photo of you dunking one of those cookies into coffee was drool-worthy. Thanks, April! I bet you could make these GF… I wonder how oat flour would work here…. Hmmm, must try it out sometime! Yum! I LOVE Biscotti!!!! We make a pistachio cranberry one at Christmas time. I haven’t made biscotti in AGES! And this looks perfect. 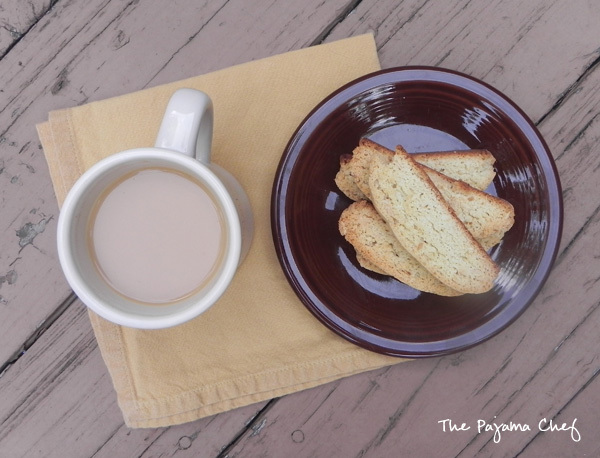 I’ve never made biscotti, always scared to try but this sounds easy enough and almondy divine! These look so yummy! Perfect with a cup of coffee! 🙂 PINNED!